Tenebrae are special. Directed by Nigel Short, these were exemplary performances, lucid, and so commanding it seemed as if singing perfectly in tune was the most natural thing in the world. A singer of great acclaim, Nigel was a member of the renowned vocal ensemble The King’s Singers from 1994–2000. Upon leaving the group, he formed Tenebrae, a virtuosic choir that embraced his dedication to passion and precision. Under his direction Tenebrae has collaborated with internationally acclaimed orchestras and instrumentalists and now enjoys a reputation as one of the world’s finest vocal ensembles. “…the highly impressive Tenebrae directed by Nigel Short pull out all the vocal stops at the right moments. 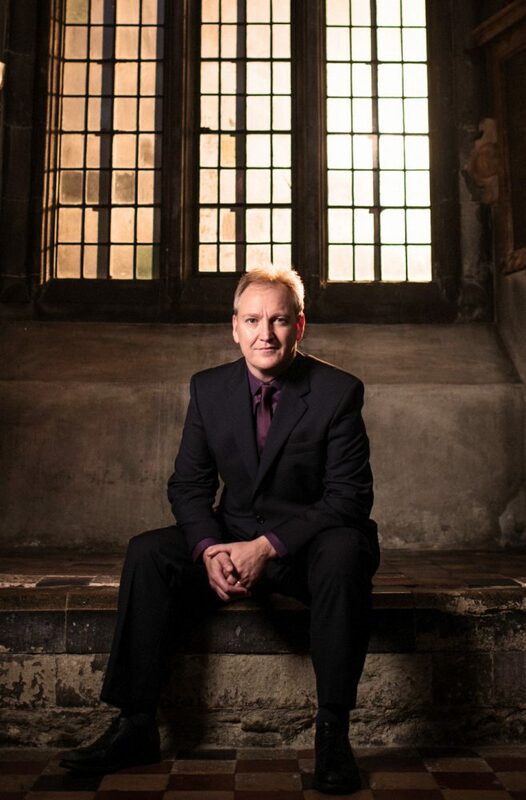 To date, Nigel has conducted the Academy of Ancient Music, Aurora Orchestra, BBC Symphony Orchestra, Chamber Orchestra of Europe, English Chamber Orchestra, English Concert, London Philharmonic Orchestra, London Symphony Orchestra, Orchestra of the Age of Enlightenment, Royal Philharmonic Orchestra and the Scottish Ensemble. He has directed the London Symphony Orchestra alongside Tenebrae in a live recording of Fauré’s Requiem, which was nominated for the Gramophone Awards (2013), and since then, he has conducted the orchestra at St. Paul’s Cathedral as part of the City of London Festival. Other orchestral recordings include Mozart’s Requiem and Ave Verum Corpus with the Chamber Orchestra of Europe and a new release of music by Bernstein, Stravinsky and Zemlinsky with the BBC Symphony Orchestra described as a “master stroke of programming” (Financial Times). Recent guest conducting appearances include the BBC Singers, Leipzig’s MDR Rundfunkchor and the Danish National Vocal Ensemble. Nigel Short’s superb musical sensitivity to phrasing and texture illuminates everything… the endless dovetailing of the musical lines, all within an overall architectural vision, is exquisitely sustained. Tenebrae reveals itself as one of those exceptional choirs whose individual singers have been moulded into a single superbly sensitive and responsive musical instrument.